What is Church Membership? Is it Baptism...supporting a parish...going to church on Sunday...or sending the children to Sunday School? It is all of these, yet church membership is something more. It is our active commitment to our belief in God, and the acknowledgment of Christ in our way of life. Baptism and Chrismation soon lose their personal validity if the vows made at the font are not carried out in everyday life. Baptism and Chrismation give us the right to be Christians and to participate in the sacramental life of the church. But these alone do not make one a Christian. To be an Orthodox Christian, one must be Baptized and Chrismated and then participate regularly and conscientiously in the sacramental life, the worship and the work of the Church. Click here for more information about church membership. Membership in the Orthodox Church begins at baptism (Chrismation for some) and continues throughout our life. We are united with Christ through the sacraments, or mysteries, of the Church and through our faithful offering of our entire selves to Jesus Christ. Our Archdiocese requires each parish to distinguish between voting members and non-voting members. A voting member is over 18 years of age and turns in a signed stewardship commitment card, committing a portion of time, talent and treasure to the Church. The Archdiocese also requires the voting member to remain current through the year on their commitments. Keep in mind that true membership in the Body of Christ involves living according to His word and within His Church. Please keep in mind that your stewardship of money is kept in the strictest of confidence. However, we do compile the amounts anticipated to better plan our budget. During the course of a year, people’s circumstances change. Your offering is valued because it is made out of your love for God and His Church. Please do not be concerned if you are unable to meet your stewardship pledge – we are glad you are a part of this parish. Your employer or your spouse's employer may offer a program that matches charitable gifts. Matching gifts can multiply your gifts to St Andrew. Some employer matching gift programs exclude churches. However, many of them will make matching gifts to for educational and charitable purposes. The Hellenic Afternoon School is not a religious program, it is an educational and cultural program, and has been approved by some employers for a matching gift. 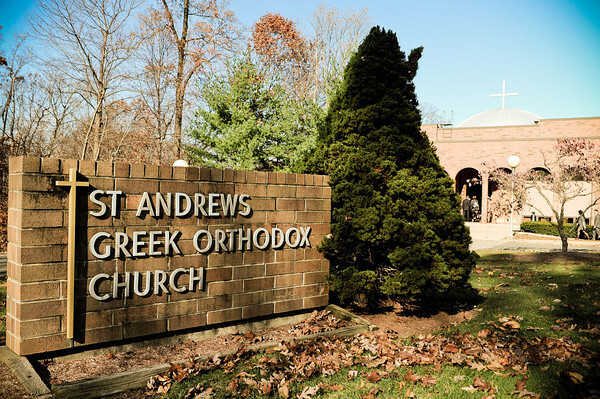 In addition, the St. Andrew Philoptochos is a charitable organization that gives to the needy regardless of religious affiliation, and may also be approved for a matching gift. Finally, employers may run special charitable giving drives which have different rules than their standard matching gifts programs. To find out if your and/or your spouse's employer has a matching gift program, contact the employer's human resources department.